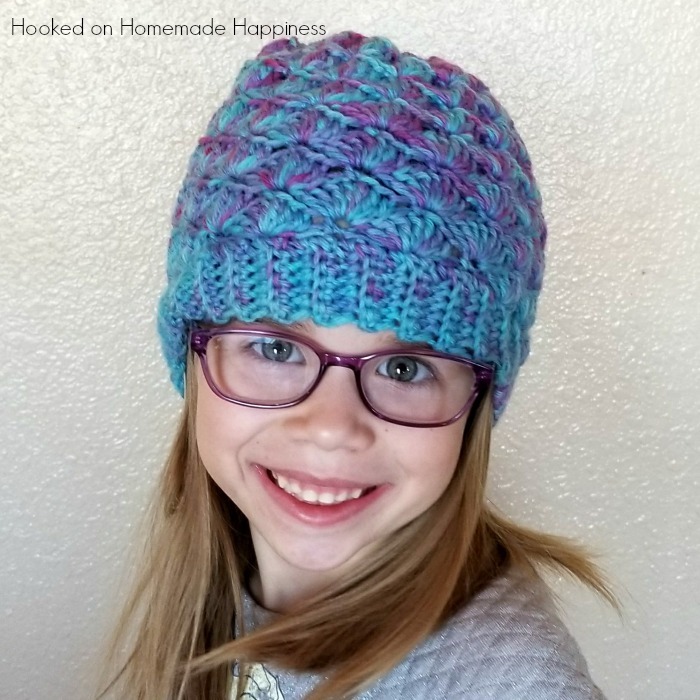 The Shell Stitch Beanie Crochet Pattern came out so beautiful and with an easy 2 row repeat pattern, it stitches up in no time. My daughter and I dyed our own yarn in the slow cooker (you can see the tutorial HERE) and as soon as I saw the results, I knew I needed a pretty stitch to match this gorgeous yarn! I made this hat for my 5 year old, but it can easily be adjusted for any size. I’ll tell you how in the written pattern! It’s an easy stitch with a two row repeat. It’s a quick one to get the hand of! 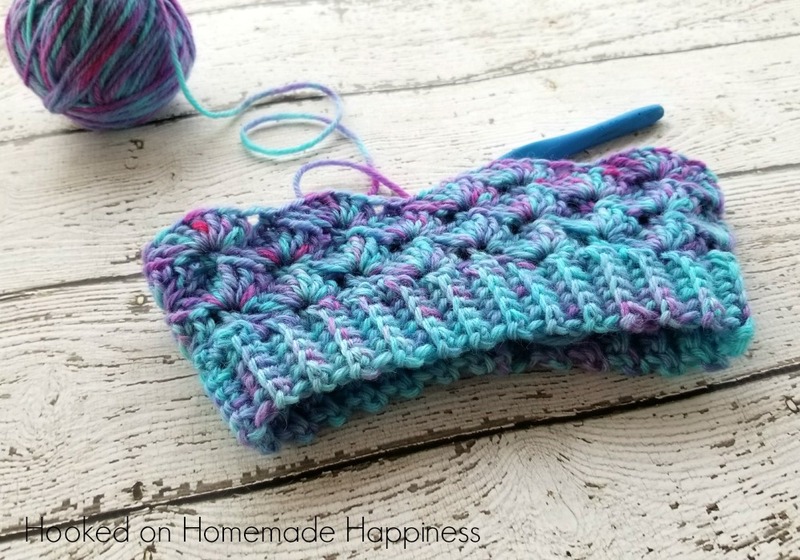 You’ll have this pretty beanie finished in no time. I think a pom pom would be a really cute addition to this beanie! How do I make this shell hat for an adult? 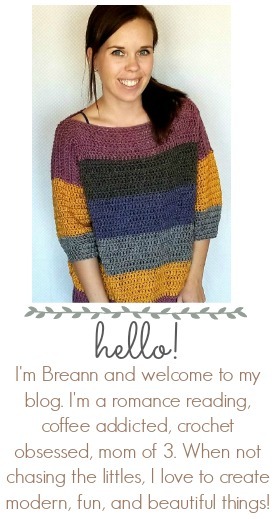 Hi 🙂 You can make the brim 60 or 66 rows – whichever is a good width to fit around the head (the number of rows has to be a multiple of 6) and then follow the pattern and repeat rows 3 & 4 until the beanie is about 8.5 inches tall. Follow the remainder of the pattern. Hope this helps! 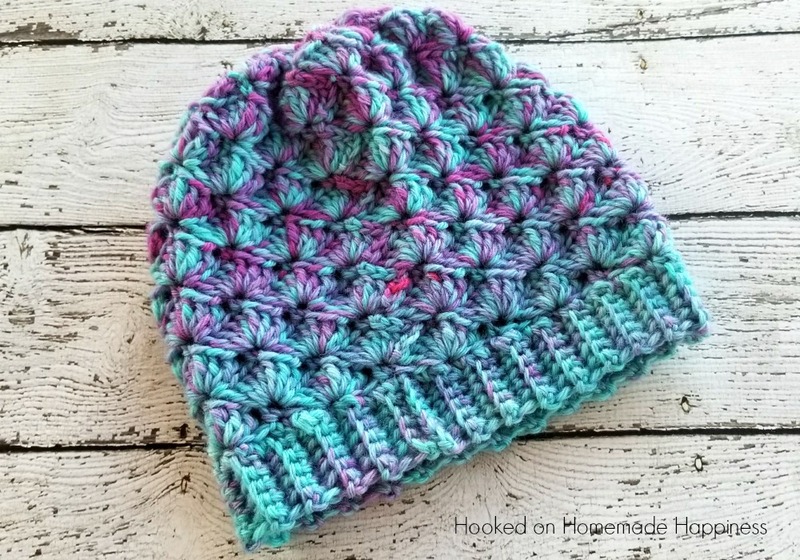 Would this hat pattern work using double strand yarn? If so, what size hook would you recommend? And how would one make this for a 6 month old? New grandbaby should be that size by the time it gets cold here. Thank you, I love your creativity!! THANK you so much. I just discovered your website. You have lovely patterns. Thanks for the free patterns. I subscribed to your newsletter too. I hope your day is glorious. Hugs. How many yards needed for adult size? Hi Breann! this hat is gorgeous 🙂 is it a problem, if I make it with a size 4 hook? will it be smaller? or how will it change? This is a lovely pattern. Thanks for sharing! When I connect the ends of the band together with sc, should it create a bump/ridge? I think I must be doing it wrong. Hi! It creates a bit of a ridge, but it should blend in with the ribbed bend. I loved making this!! What do you suggest if I were to make a messy bun hat out of it? Leave it un-cinched? Thanks!